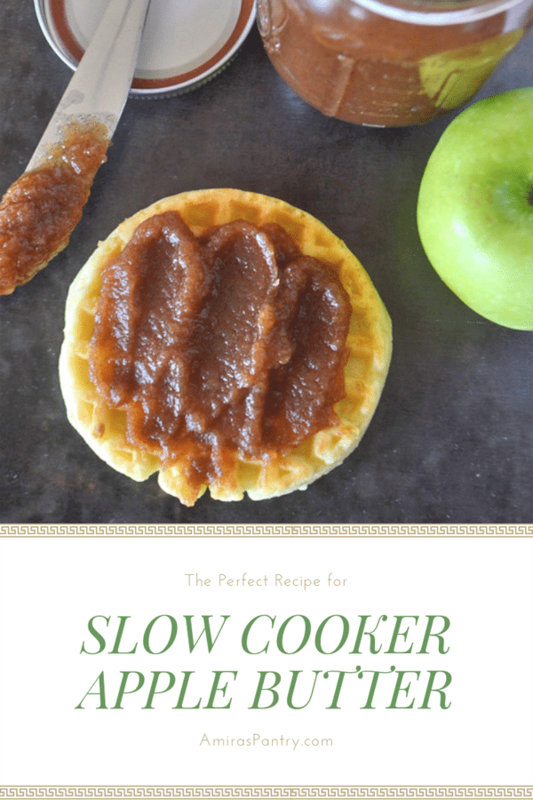 Slow cooker apple butter is made simple with less processed sugar. 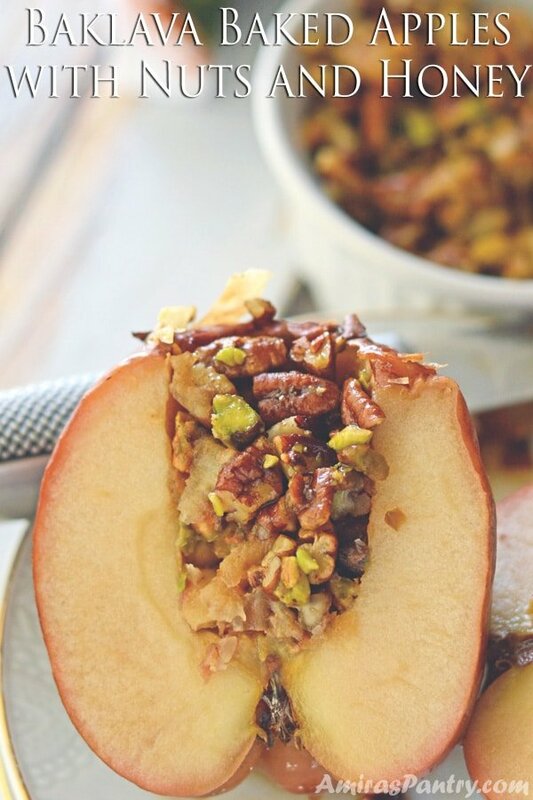 This is one of the slow cooker apple recipes that are healthier for you. Want a healthier fancy dessert? Why don’t you try this healthier carrot cake, it got an amazing yogurt frosting. 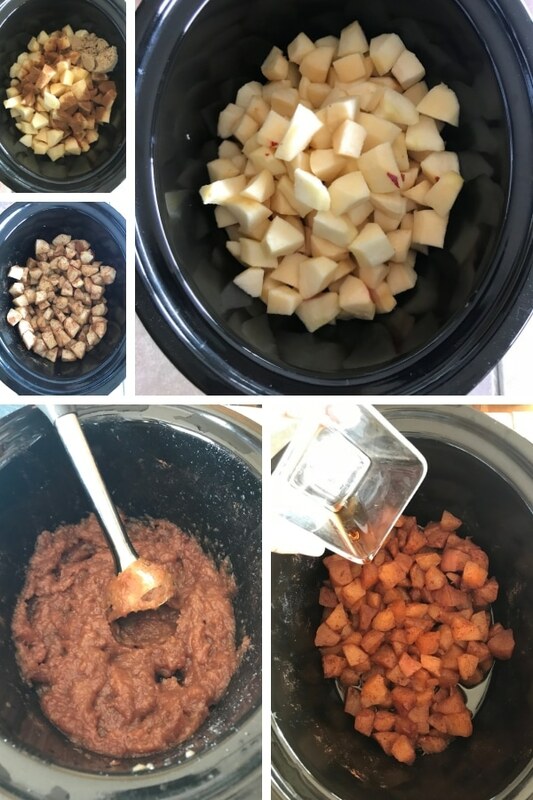 Crockpot apple butter, one of the easiest recipes you can make with apples in a crockpot. It is not only delicious, it smells heavenly good. 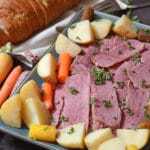 Start the holiday season with this easy recipe, you will not regret it. 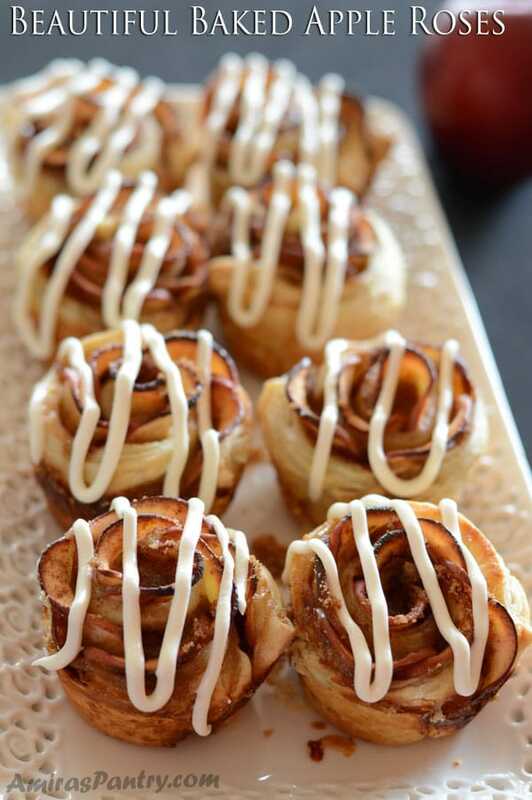 This recipe here makes an ideal after- dinner treat. 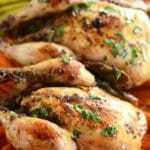 It is not overly sweet and has loads of flavors from the spices added. 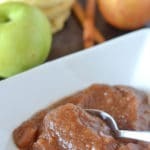 what is the difference between apple sauce and apple butter? 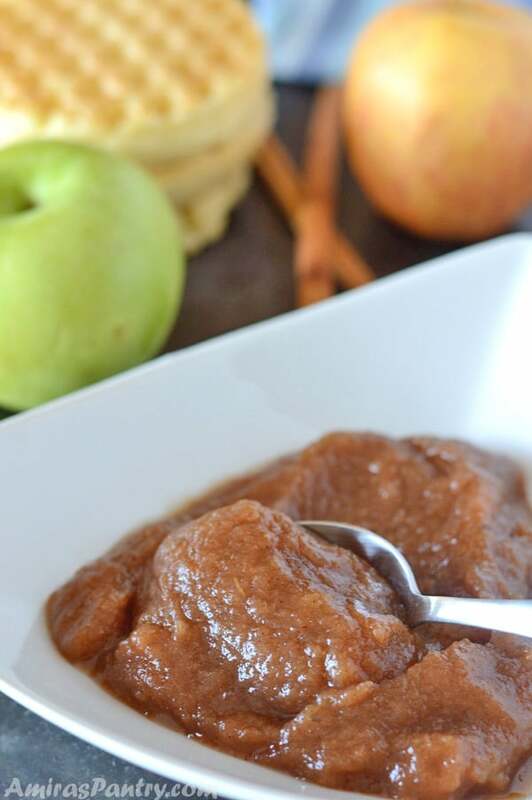 Both apple sauce and butter refer to cooked apples until very tender with some liquids and spices. Apple sauce has water in it, while apple butter is cooked until thickened enough to be of a paste form. What kind of apples should I use for apple butter? Use your preferred apple type or types. 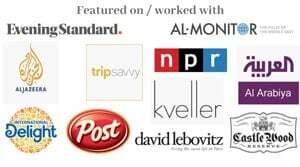 Personally I like sweet varieties such as gala, golden delicious, honey crisp and pink lady. 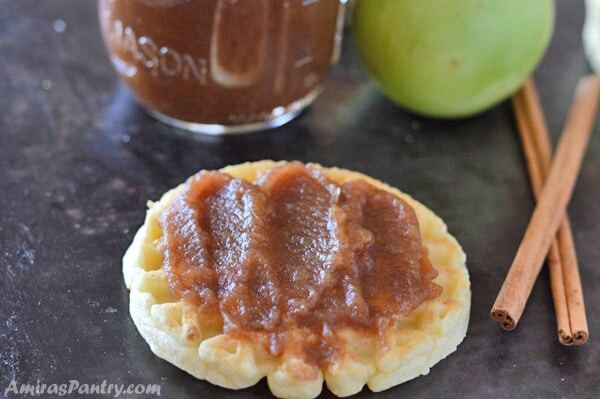 How long does homemade apple butter last after opening? When properly stored, this can stay up to 3 weeks in refrigerator or up to 2 months in freezer. 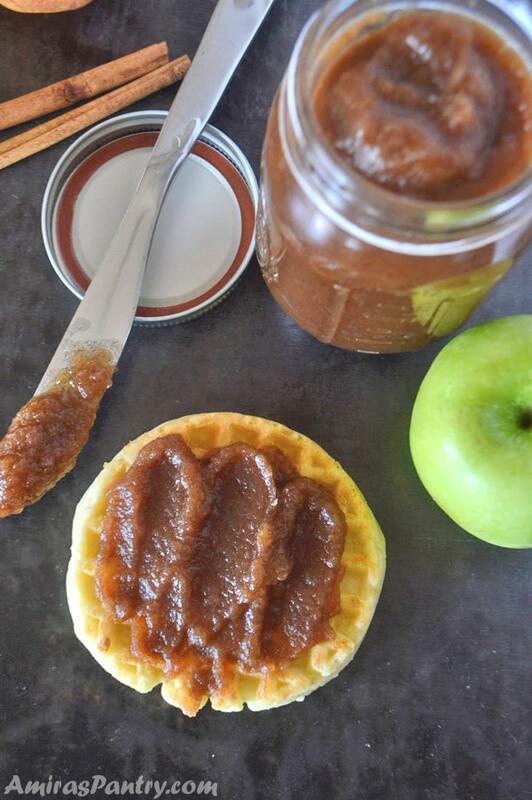 How to make apple butter? It is very simple and rewarding process for such a delicious treat. Peel, core and dice the apples into cubes then place in the slow cooker. Then you’ll need to add spices , brown sugar and honey. Mix everything well, cover and let it cook on low for 6 hours. Remove lid, add vanilla extract and keep cooking uncovered for 2 hours. Blend in blender or using your immersion blender. 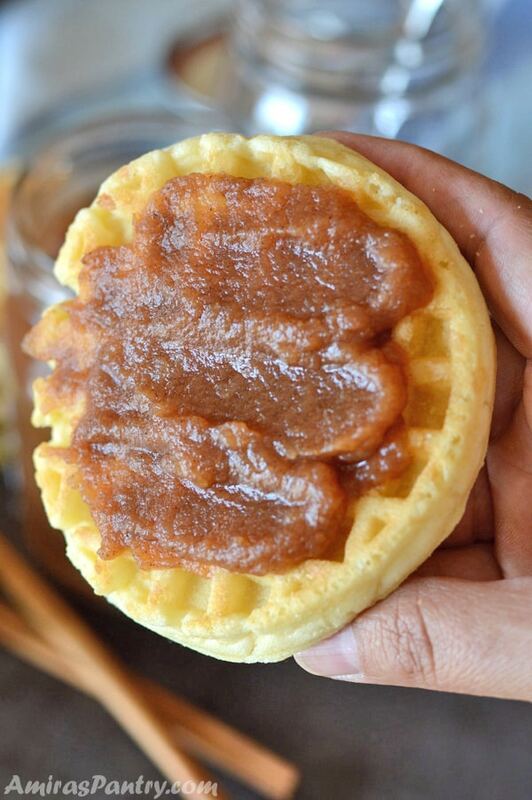 Spread on toast or waffle in the morning and get ready to blow everyone’s minds. They are gonna love it.. trust me on that. Peel, core and roughly chop your apples and put in your slow cooker. Add brown sugar, honey, cinnamon and cloves and toss well with the apples. Add vanilla extract and cook uncovered for another 2 hours. Let it cool down and puree with an immersion blender or in your food processor. * Use your preferred apple type or types. Personally I like sweet varieties such as gala, golden delicious, honey crisp and pink lady. ** This can stay up to 3 weeks in refrigerator and two months in freezer. I know apple butter very well. Just west of Toronto the Amish are famous for their apple butter. It’s really good. 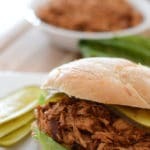 Love the idea of making it at home in a crock pot. Funny enough in Quebec apple butter is pale applesauce whipped with actual butter.